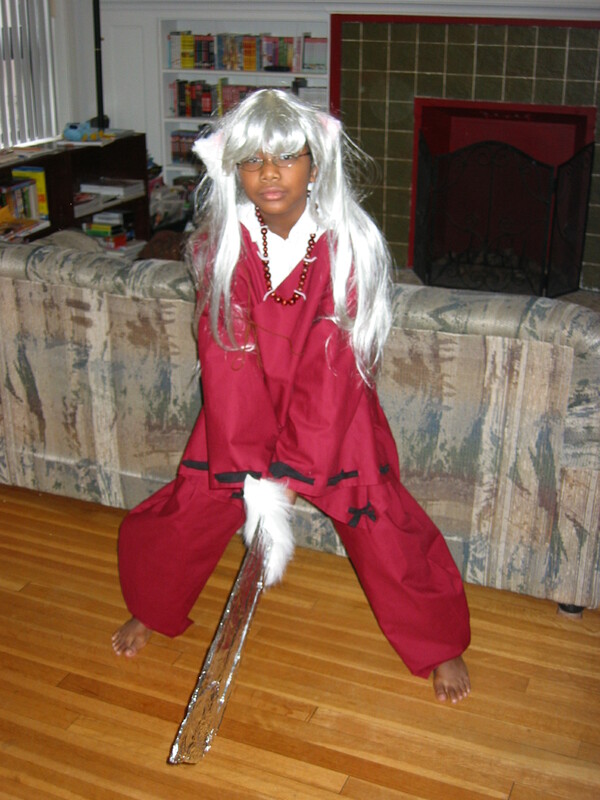 And some news of lesser magnitude is the completion of the Inuyasha costume for my oldest son in time for Halloween. What he didn’t tell me until last night was that he was hoping to win best costume in the afterschool program he goes to. I certainly wasn’t thinking about any competitions while I was working on it! Anyway, he’s pretty pleased with the results, so I took some pictures this morning to share with my wife and his younger brother and now I’ll share them here as well. It could still use some tuning up, but so far everyone who’s seen the pictures has had a favorable reaction, including the mostly costumed staff at the children’s hospital who have been fantastic! Oh so much drama over the last few days… Anyway, on to the pictures! Oh yeah! He made the ears, the Tetsusaiga, and the necklace. This little guy was also the one who was the spiritual spark that ignited my costume making and my own entry into cosplay! I love the way he thinks too. It was his idea to use Inuyasha plushie dolls to solve some of the design problems I ran into making the costume, genius, pure genius! Previous PostShow Must Go OnNext PostInvasion of the Pocky! i love ur costume! were did u get that wig? I got the wig on eBay from a cosplay wig shop in Hong Kong. 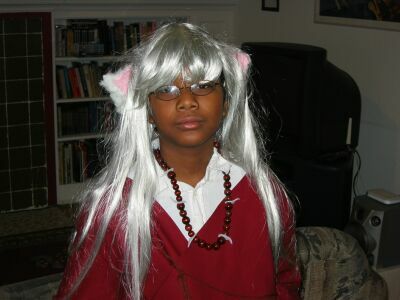 Just do a search on cosplay wigs and you’ll find a lot of inexpensive options. If you want to spend a bit more and get a higher quality wig, try Cosworx.com. very good i love it. just the ears need to be on top of the head. oh wow, nice work blueZhift!! THEN THE WHOLE CAST WILL BE HERE!! i wish you wouldn’t hurt me sango every time i do that!! lol, okay im back from lalala land! i love the wig also, and his clothes includin’ his neckless!! I loove this! 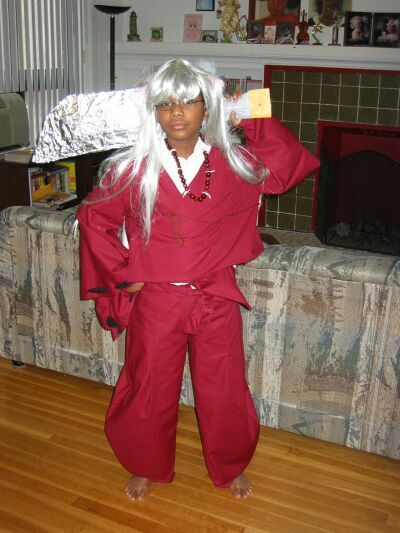 Hes sooo cute 🙂 I would not have the nerve to dress up like kagome! lol. He should be sesshoumaru next year! The play is the thing. 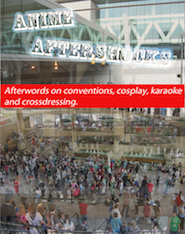 Anybody can cosplay whatever character strikes their fancy. Space aliens don’t speak English and probably won’t walk around on two legs, nevertheless, we keep making and enjoying stories featuring such things. 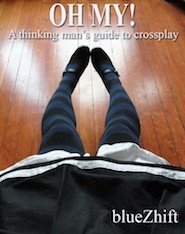 People who think one can only cosplay characters one physically resembles, are just cheating themselves of a good time. 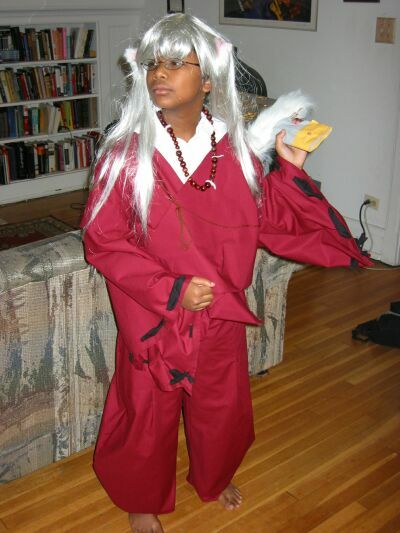 Humph.You r makeing me look bad.Plus inuyasha is mot black. y am i the only one talking? y wont eneyone say eneything? Guess what? Inuyasha is not white eitheir, Inuyasha is japanese. Well, don’t that make you feel stupid. Get the facts straight before making yourself look like a jacka$$. IS your sons name plillip lambert?